Klayman: I Do Not Believe Kavanaugh and Ask Trump to Withdraw Nomination and Name Future Justice Who Respects 4th Amendment! 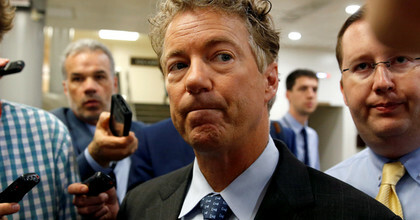 Sen. Rand Paul (R-Ky.) announced on Monday he will support the nomination of Brett Kavanaugh, President Donald Trump's nominee to the Supreme Court. The Kentucky Republican had previously expressed concerns about Kavanaugh's stance on the Constitution's Fourth Amendment, which bans "unreasonable" searches and seizures by government officials. In 2015, for example, Kavanaugh wrote a concurring opinion to a District of Columbia Court of Appeals ruling affirming the constitutionality of the National Security Agency's warrantless phone records collection program, which allowed the government to track Americans' metadata.